Everton record their third successive Premier League victory by thrashing Crystal Palace 2-0 at Goodison Park. 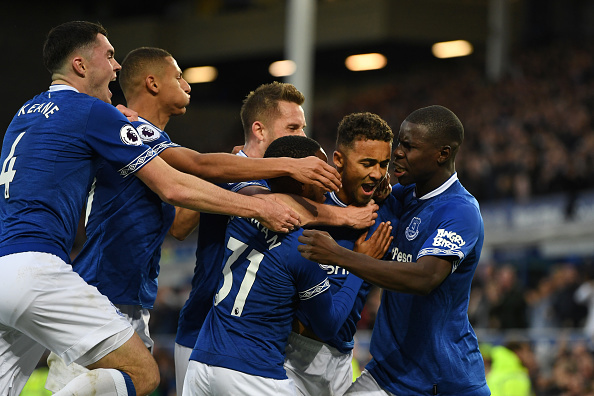 Late goals from substitutes Dominic Calvert-Lewin and Cenk Tosun, Calvert-Lewin headed in from an Ademola Lookman delivery in the 87th minute, five minutes after both players had come off the bench. 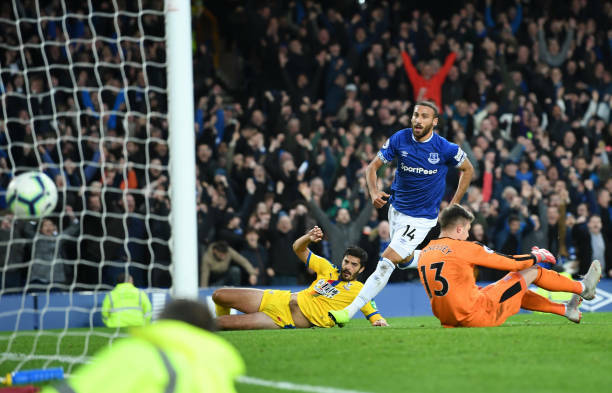 Tosun, who had come on midway through the second half, then added an 89th-minute strike. Everton goalkeeper Jordan Pickford had earlier kept the score at 0-0 by saving a Luka Milivojevic penalty on the hour mark. Crystal Palace, who have scored only five goals in nine league matches this term, went close in the first half when Cheikhou Kouyate’s header hit the bar. Everton, having built on wins over Fulham and Leicester, are now up to eighth in the table, while Crystal Palace have dropped a place to 15th after their third consecutive defeat. The first real attempt on goal came in the 10th minute of the game when Seamus Coleman, back in action after missing Everton previous four league games, received the ball from Bernard and fired over from the edge of the box. Everton then applying pressure again as the first half almost ended, with Richarlison heading over from a corner and Sigurdsson sending a left-footed attempt wide. Crystal Palace had a great chance to break the deadlock shortly after the break when Coleman brought down Wilfried Zaha in the area and referee Anthony Taylor pointed to the spot. But, Crystal palace was unable to grab a goal.